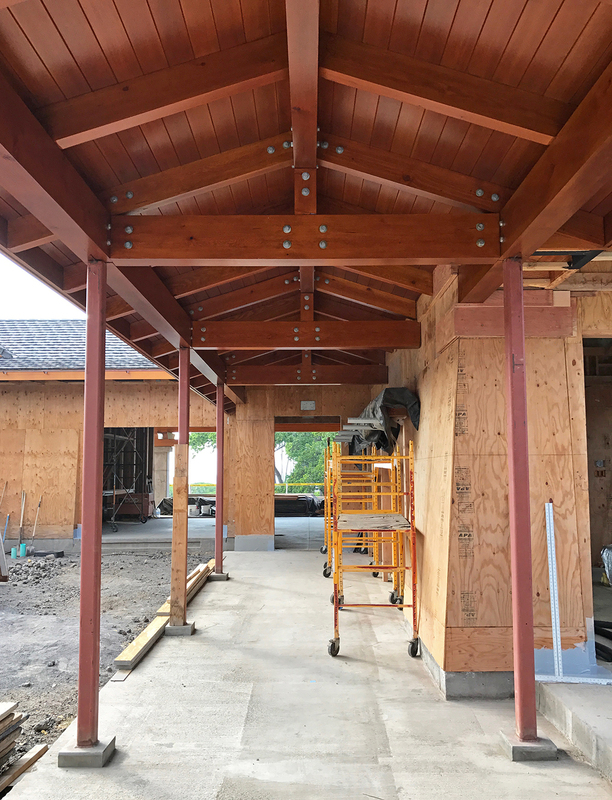 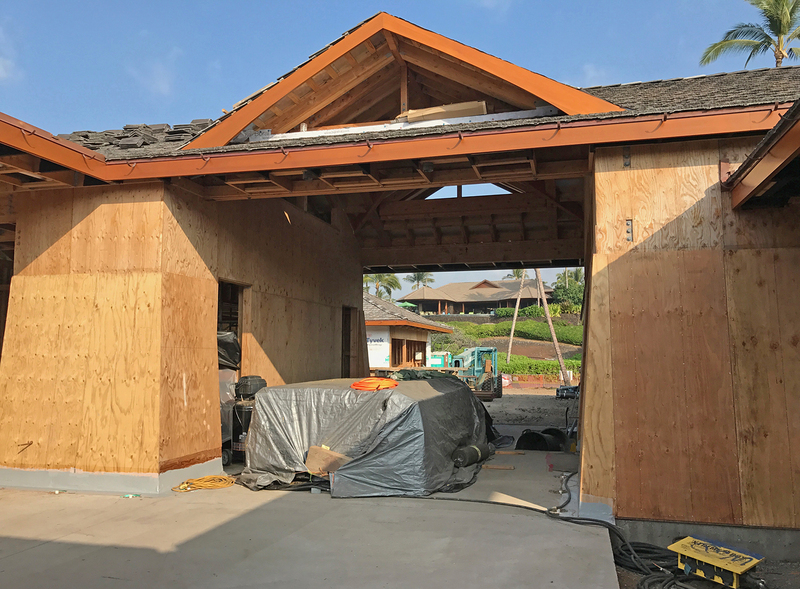 In January, architects Cindy and Arleta visited the Kohala coast jobsite where a client’s new home is starting to take shape. 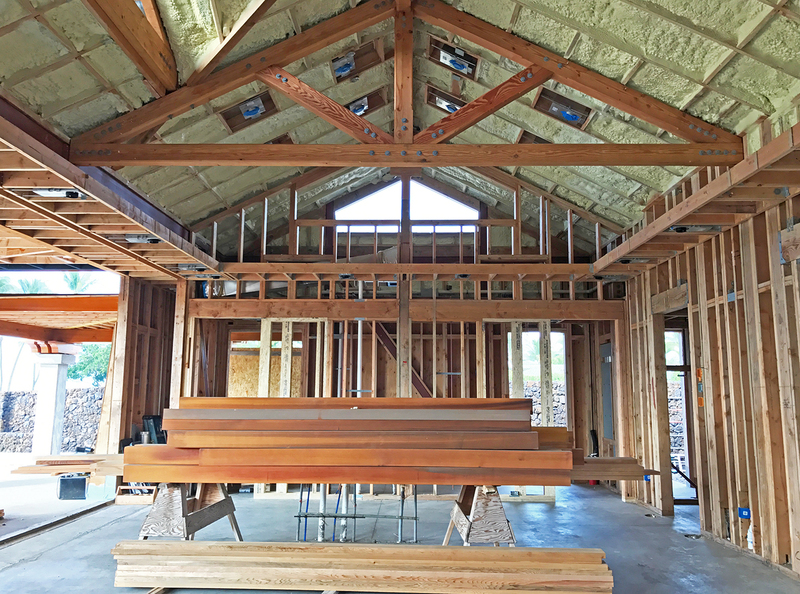 The stately structure offers stunning views and sculptural details: tapered stucco walls and natural-stained shaped beam ends add drama to passageways and roof lines. 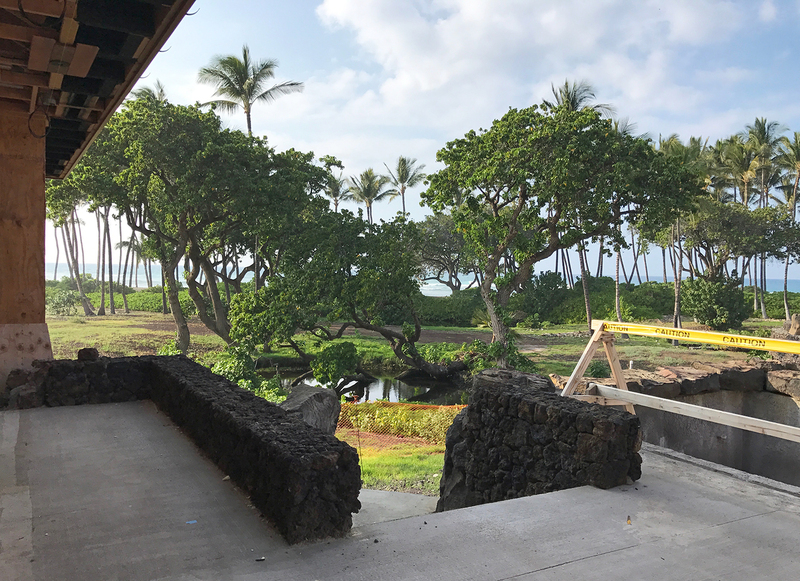 The beach is best viewed from the great room, main lanai, and pool. 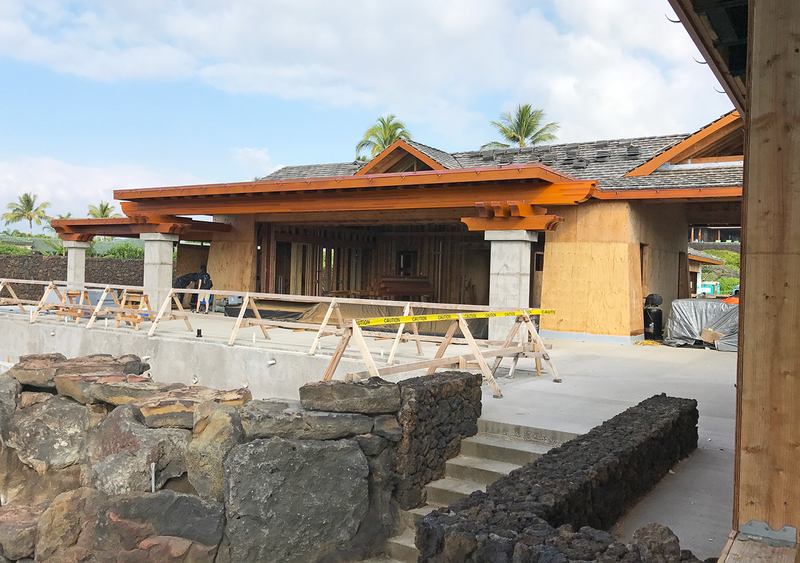 The rugged local terrain is reflected in the use of natural materials, such as lava rock retaining walls that lead from the master bedroom to a lush garden of natural ponds and milo trees.